Albuquerque, NM- The upcoming New Mexico election is less than 30 days away and will absolutely determine the future of New Mexico. 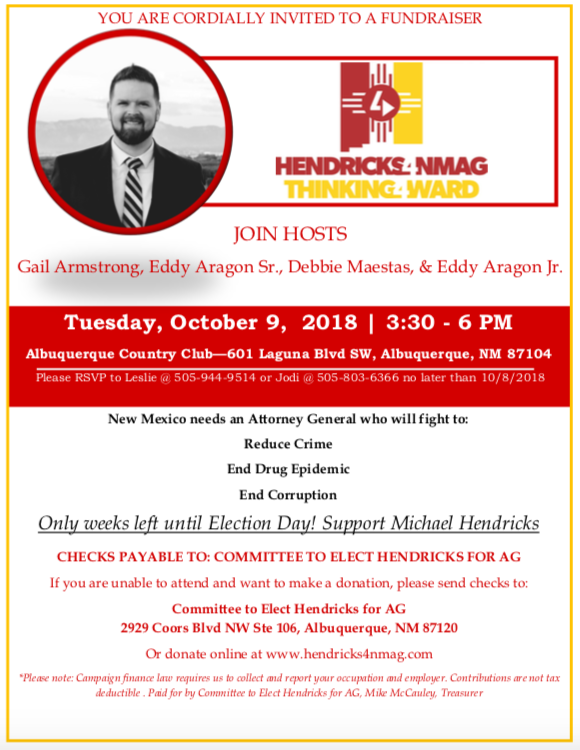 Come meet and support the next attorney general of New Mexico this Tuesday. 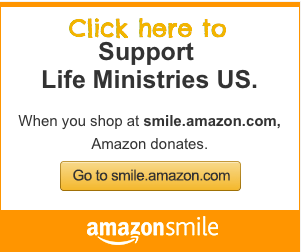 ENDING LATE TERM ABORTION AND CLOSING NEW MEXICO ABORTION CLINICS! 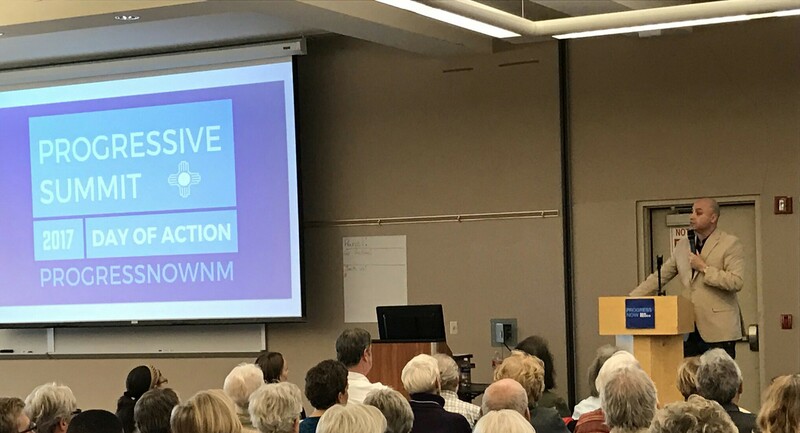 When elected he will replace the current pro-abortion Catholic Democrat, Hector Balderas who has pandered to the New Mexico abortion cartel, in open defiance of his faith and his duty to protect the most vulnerable citizens of New Mexico. MICHAEL HENDRICKS NEEDS OUR HELP TO RAISE ENOUGH CAPITAL TO GIVE HECTOR BALDERAS A RUN FOR HIS MONEY! “He said he would also target late-term abortions in New Mexico. State law, he said, requires that those abortions happen at an accredited hospital, not at a Downtown Albuquerque abortion clinic. Hendricks, as the son of Baptist missionaries, spent much of childhood in Mexico. He speaks Spanish and has served as the consulting attorney for the Mexican Consulate in New Mexico. Hendricks, 36, said he would bring strong leadership skills to a job that involves overseeing 200 employees. BE SURE YOU ARE REGISTERED TO VOTE!